Cat 5E UTP Network Cable with RJ45 ends. 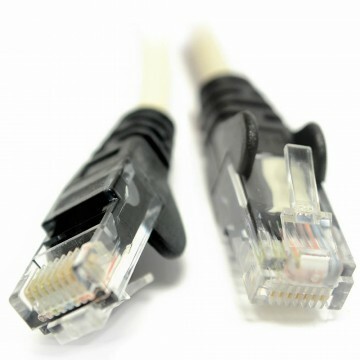 Crossover cable is for connecting two computers directly or dependant on the device for connecting certain network devices (e.g. access points and modems) directly to another network device. Also can be used to directly connect an X-Box to a computer. Unshielded Twisted Pair (4x2 cables). Gigabit Certified - Supports upto gigabit (1000Mbps) transmission rates. For connecting computers to switches routers and hubs use straight cable.